One of the coolest things I did in Hong Kong this time around was see the special exhibition at the Hong Kong Museum of History. As a side note, the permanent exhibit was also very entertaining and informative, and I would highly recommend it - especially on a Wednesday when admission is free. It's about a 15 minute walk from the Tsim Sha Tsui MTR station, and right across from the Hong Kong Science Museum (which was also awesome, because Mike and I are so mature - it's basically like Science World, but bigger, and has more to do). 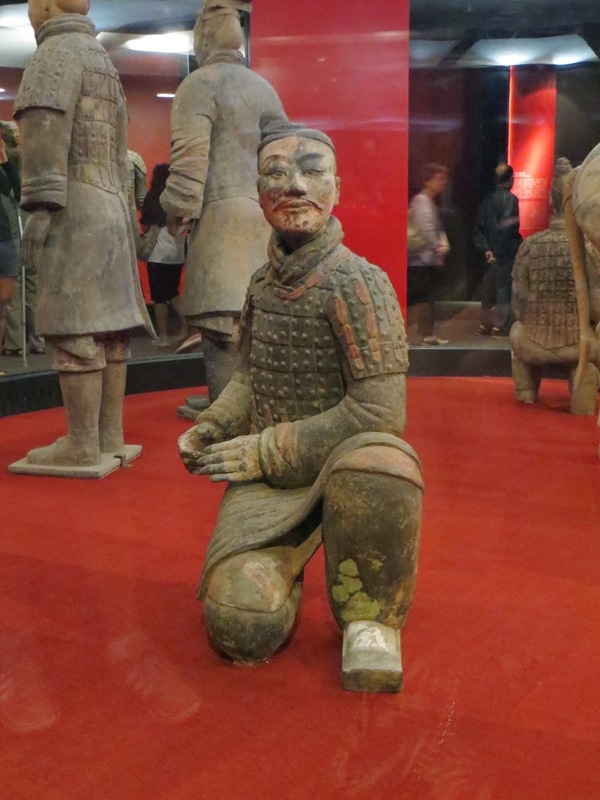 The Museum of History was #7 on Tripadvisor during our trip, and has since moved up to #5... very likely due to their special exhibit: "The Majesty of All Under Heaven: The Eternal Realm of China’s First Emperor", featuring the terracotta warriors. The gallery is open July 25 – November 26, 2012, so we were lucky enough to see it! 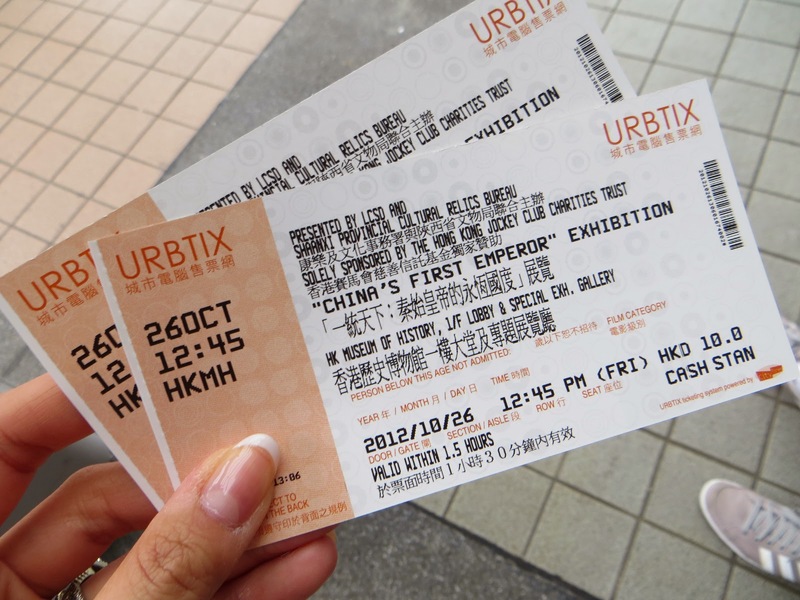 Definitely worth the $10 HKD (I wish museums here cost under $1.50 CDN)! 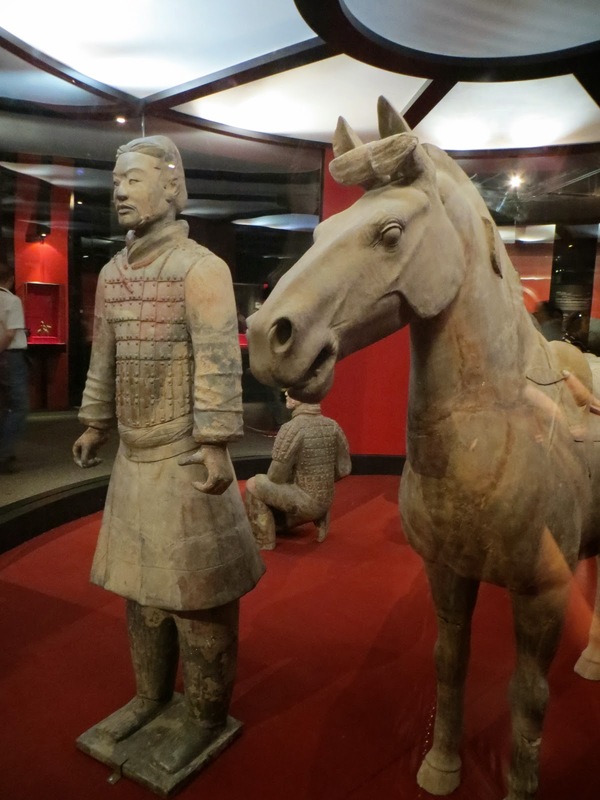 I thought this model showing how terracotta warriors were made was pretty neat. It looks like they were built from the bottom up. The sculptures were made to be life-sized and each have a unique face. Mike and I amused ourselves by pointing out the generals (they had a bit more of a beer belly than the soldiers). Even though the weapons are no longer present, the sculptures look quite intimidating... it must have been so cool to be one of the first historians viewing them standing side by side in the original pits!